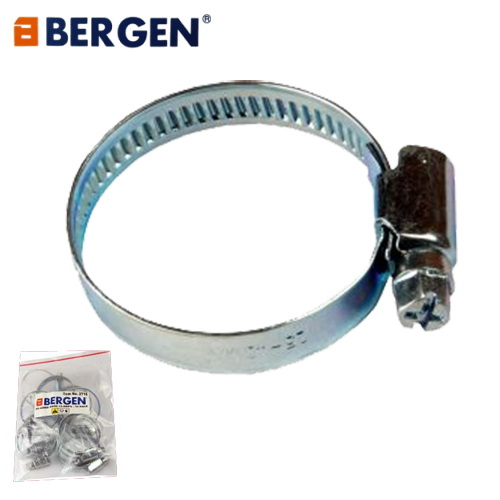 Super quality Bergen Tools 10pc pack of hose clamps. These clamps are sometimes referred to as Jubilee Clips. Size range 10 - 16mm (Clip adjusts between these dimensions). The hose clamps are are constructed with steel and are zinc plated for prolonged use.The width of the band is approximately 9mm. Superb product and price from Bergen Tools.